The International Monetary Fund (IMF) has increased projection towards Nigeria’s economy as the fund has said that Nigeria will expand a little faster than its earlier projection. The Fund said Nigeria’s economy will grow by 2.1% in 2019, an increase of 0.1% points from the 2% projection given in January. 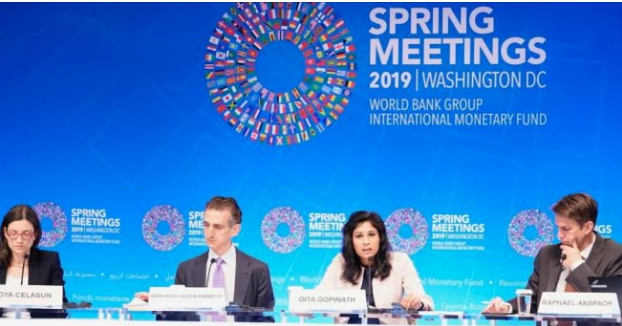 The IMF made this known in the World Economic Outlook report released on Tuesday, April 9 at the ongoing spring meetings of the IMF and the World Bank Group. Recall that the IMF had cut its growth projection for Nigeria’s economy from the 2.3% contained in the October 2018 report to 2% while blaming the reduction in oil prices.